The Blue Planet II TV series has made it clear that pollution from single-use plastic is having a catastrophic impact on our environment – so who is going to do something about it? There are plastic free packaging options out there, why are so many big Corporates NOT making the necessary changes to their products? “Because it’s potentially too risky and a bit complicated” claims TrooFoods Ltd Co-Founder Helenor Rogers. Entrepreneurial start-up Troofoods Ltd are printing their new 100% plastic free, completely compostable packaging for their granola this week that will be launched just after Christmas. “We’re proud to be the first 100% compostable product in the mainstream cereal market” says Helenor, ”change needs to happen in the world of food packaging and if it’s down to start-ups to pioneer these changes then so be it”. Developed and produced in the UK by Staffordshire based B&G Products, the ‘earthpouch®’ is a completely environmentally friendly stand up pouch. It can be recycled and is compostable yet provides total food security for dry and moist food products. “Whilst the packaging is robust we’re being more cautious on our shelf life and this does make our logistics more complicated” explains Helenor, “but surely this is worth it?”. 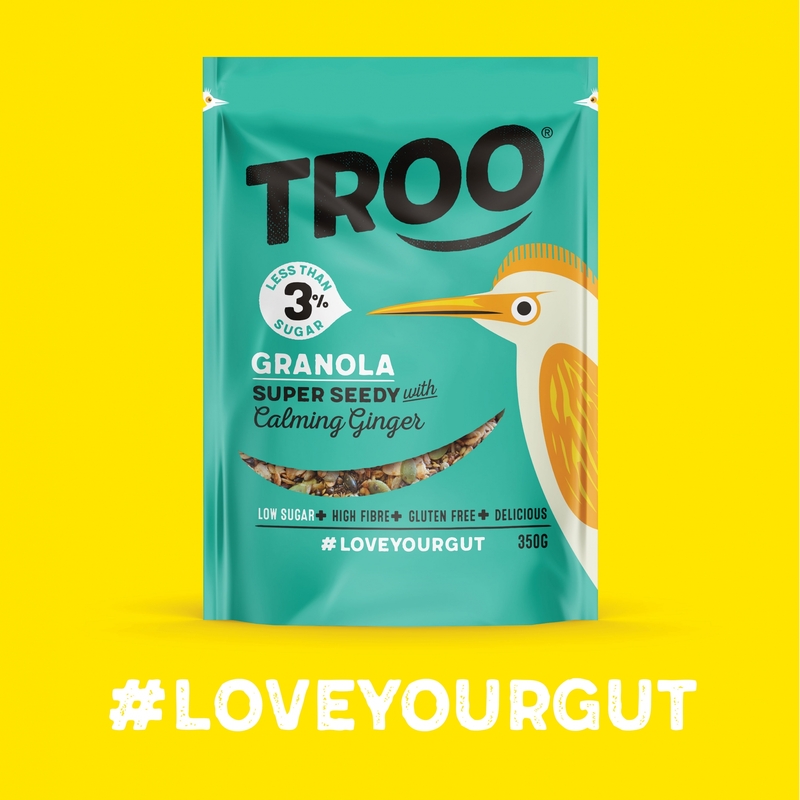 The packaging will be used for Troo’s new ‘gut healthy’ granola – the lowest sugar, highest fibre granola available in the UK. “We wanted to make sure this new product ticked all of the boxes in terms of consumer trends” Helenor says, “not only is the product delicious and good for you, the packaging is good for the world too. Let’s hope we’re leading the charge and other’s follow too”.